JAMWORKS Gourmet Foods has been announced as a medal winner at the 2018 Sydney Royal Fine Food Show, one of the highest-regarded shows for fine foods nationally. 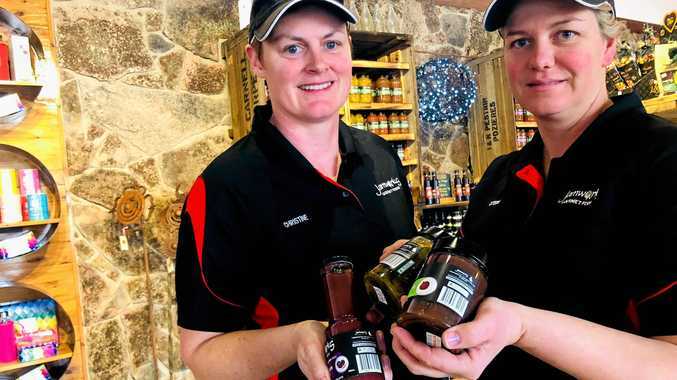 The Glen Aplin-based business was awarded four medals for their Cape Gooseberry Jam, Boozy JamPlum and Shiraz, FigDate and Hazelnut Pasteand Red Hot Chilli Relish. This recognition places their products among leaders in the fine food industry. Sydney Royal Fine Food Show chair Lyndey Milan OAM said all winners wereselected by a judgingpanel of industry specialists, who aimed toselect the best in Australia while nurturing the growth of producers nationally. "As first-time entrants, we are proud of the results we have achieved," owner Steph Ingall said. "We make high-quality products using local Granite Belt produce, supporting our local growers." Sydney Royal hosts an extensive array of competitions each year, shining a light on Australia's greatest and most-deserving producers.